ADDIS ABABA, Ethiopia — After Dr. Mengistu Hailemariam graduated from medical school, he went to the U.S. in 2007 and explored the possibility of following many of his classmates who left Ethiopia to work abroad. 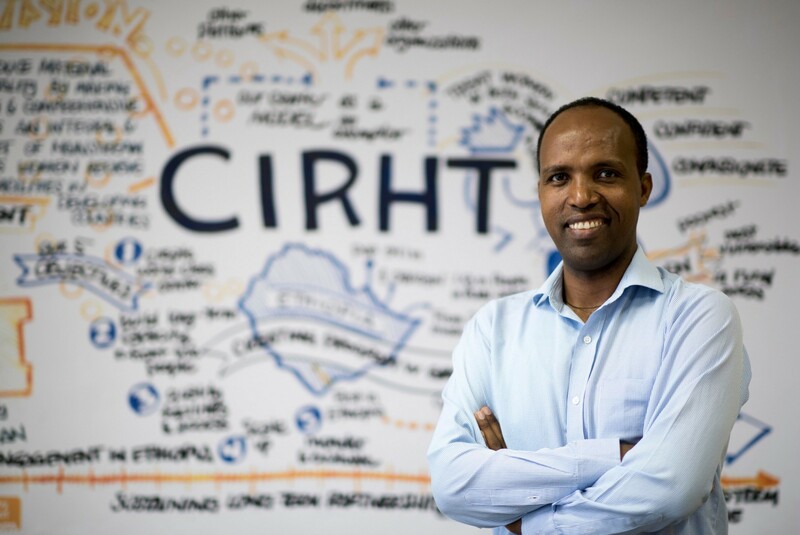 His decision to stick around was a smart one because Dr. Menge got to start his career on the front end of Ethiopia’s medical revolution — a period of sweeping health care reform that continues today. He moved to Afar Regional State, a remote northeastern area near the border with Eritrea and Djibouti, to do his mandatory medical service as an obstetrician and gynecologist. Medical school is free in Ethiopia, but young doctors are required to spend two to five years working in underserved regions after graduation. Dr. Menge was the first Ethiopian OB/GYN to work in the area. The lack of access to medical care was a severe problem, he said, but perhaps more troubling was the people’s health-seeking behavior and attitudes about medical care. They often took death — especially maternal mortality — for granted. “Dying from pregnancy-related complications wasn’t a big deal for them because it happens every day. It doesn’t surprise you because your mother or sister died of the same problem,” he said. “You can imagine how challenging it was to challenge the status quo,” added Dr. Menge, a project manager at the Center for International Reproductive Health Training, which supports training health professionals, especially medical students, how to provide quality reproductive health care to women and girls. The challenge was also identified by Dr. Tedros Adhanom, the country’s trailblazing health minister at the time. And he began doing something about it. Dr. Tedros wanted to remind the heads of households, usually the men, to be on the frontline of taking care of their wives, Dr. Menge said. Because Ethiopia has a patriarchal culture, women were valued less and this needed to change. One thing the minister did to tackle the problem was to create the Health Extension Program, which has trained and deployed 39,000 health workers — the majority of them women. They worked nationwide, teaching people about sanitation, vaccination, malaria prevention, family planning and other issues. Families who adopted the healthy practices became model households who influenced other homes. Dr. Tedros, now the foreign minister, recently announced his bid to be the World Health Organization’s next director-general. Improving the health of women and girls worldwide would be one of his key priorities if he gets the job. 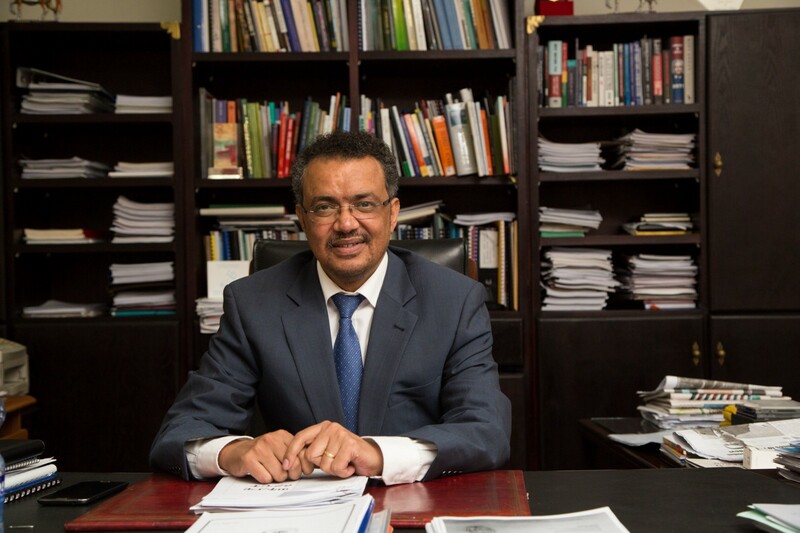 During his tenure as health minister, Dr. Tedros also launched an ambitious expansion in medical schools that has increased the number of graduates from about 150 doctors in 2004 to 3,000 in 2016. Before the young physicians left for their mandatory service assignments, Dr. Tedros had them attend an orientation program that would last two to three weeks. The training program, which focused on the brain-drain issue, would end with a farewell dinner. At the banquet, Dr. Tedros would give an inspiring speech and then share his personal mobile phone number with the young physicians. He would urge the doctors to call him if they had any problems. The idea was to support the young physicians and also collect valuable feedback about problems in the health system so that they could be fixed. “He would say, ‘If you face any problem, please call me anytime.’ He may be in a meeting, but Dr. Tedros is known for his text messaging, so you could send a text,” Dr. Menge said. Recovering foreign correspondent still hungry for the world. Writing about global health, world affairs and poverty alleviation.